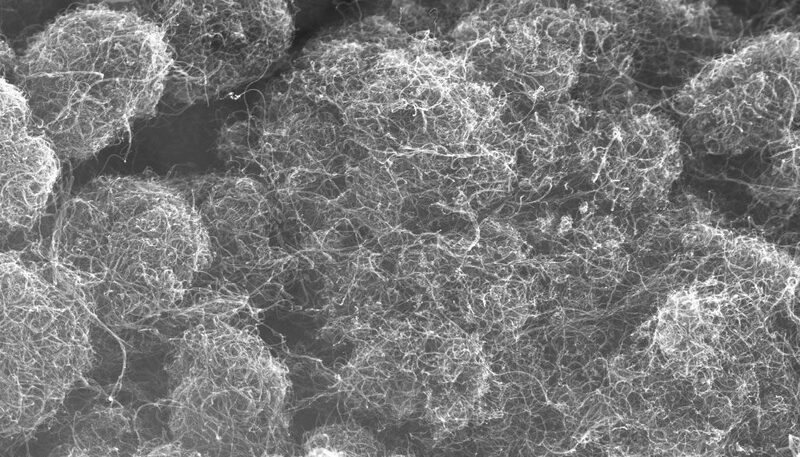 Carbon nanotubes have been of broad engineering interest for 25 years. 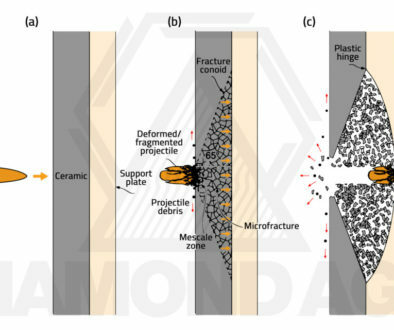 Practical applications, however, are still very few and far between — due primarily to the fact that CNTs like to form aggregates and clumps, which can dramatically impair the mechanical properties of composite materials. 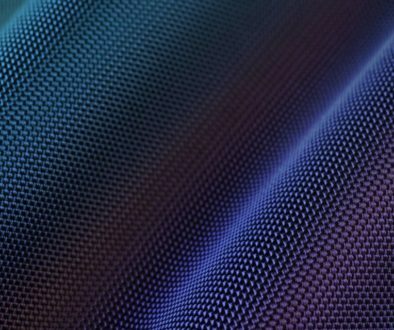 It can be extremely difficult to disentangle the nanotubes, and homogenize them within a matrix or spin them into a yarn, without damaging them. 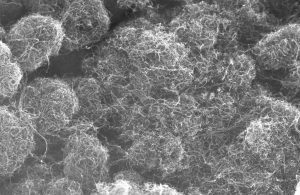 Where their incorporation into armor materials is concerned, there’s another problem: Carbon nanotubes are not oxidatively stable, they’re not chemically stable when used alongside certain elements such as iron, and they’re not thermally stable — in fact, they begin to degrade at just 400°C. 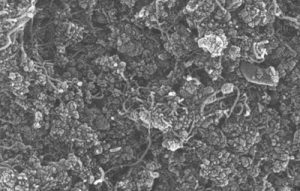 For these reasons, it is very difficult, if not impossible, to meaningfully incorporate carbon nanotubes into ceramic and metal matrices. Even if chemical compatibility is assured, processing temperatures are always just too high. …As you can see, particularly in the top left, they form particles that look like balls of yarn. These yarnlike particles can be very difficult to disentangle completely. Boron nitride nanotubes are structurally identical to carbon nanotubes, but are made up of boron and nitrogen at a 1:1 ratio. The mechanical properties of BNNTs are essentially identical to those of CNTs, in that they have an elastic modulus of up to 1.3TPa and a tensile strength of up to 33GPa for individual nanotubes. The thermal properties of BNNTs are also similar to those of CNTs, with, for instance, thermal conductivities measured at 350W/m K and 300W/m K, respectively. 1. Stability. High-quality BNNTs are stable to temperatures in excess of 1000°C — in fact, it’s not entirely clear at which temperatures they begin to degrade — so they are highly thermally stable. They are also almost completely inert from a chemical perspective, so are suitable for use in the presence of reactive elements such as oxygen and iron. Their great stability enables and recommends their use in ceramic and metal composite materials. 2. Ease of use. BNNTs are significantly easier to process than carbon nanotubes. 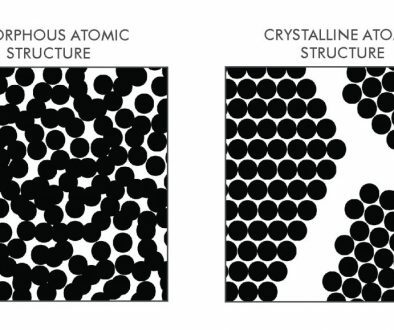 They don’t form aggregates or clumps as readily; they’re not as susceptible to the Van der Waals forces which induce carbon nanotubes to stick together, so are therefore easier to disperse in composite material powders and melts. It is extremely easy to disperse them in ceramic powder slurries with the utilization of common techniques such as ultrasonication or high-shear homogenization. At loading volumes generally around 1-5%, BNNTs have already been utilized, experimentally, in ceramic and glass composites — such as in silicon nitride, alumina, and barium calcium aluminosilicate glass. These BNNT composites generally exhibit increased strength and hardness, alongside reduced density, for extraordinary improvements in specific strength. Yet it’s difficult to draw any firm conclusions, as few ceramic-BNNT composites have been reported, and very few metal-BNNT composites have heretofore been reported. This is an area on the frontiers of materials science — and, therefore, of armor science — where much work remains to be done. Diamond Age is the leading producer of high-density BNNTs suitable for ceramic and metal reinforcement, and is actively researching their use and utilization in the armor systems of the very near future. We have supplied BNNTs to some of the world’s largest electronics and consumer goods companies, and have several patents pending. Please contact us to learn more.